Although “heartburn” is often used to describe a variety of digestive problems, it is actually a symptom of GERD. Other symptoms include a burning sensation in your throat, chest, or rib area. 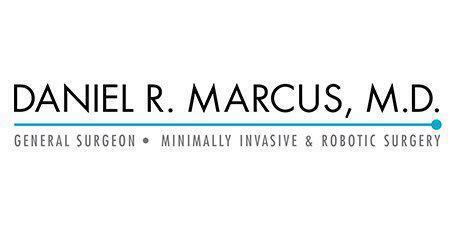 Dr. Daniel Marcus treats patients suffering from GERD in Marina Del Rey and West Los Angeles, California. What is GastroEsophageal Reflux Disease (GERD) and what causes it? Gastroesophageal reflux disease, or GERD as it is more commonly known, is a chronic digestive disease that occurs when stomach acid moves back up into your esophagus. This backwash, or reflux, can irritate the lining of your esophagus. Acid reflux is a common condition but when the symptoms occur or persist more than twice a week you should consult your doctor to see if you have GERD. Most of the time symptoms of GERD can be managed with over-the-counter options but if they are persistent and strong enough to interfere with daily life, prescription medication, or even surgery, may be suggested. A burning sensation in your throat, chest, or rib area. Many adults experience this uncomfortable feeling at least once a month and it is often made worse by eating acidic or spicy foods. Other symptoms may also include vomiting, difficulty swallowing, and chronic coughing or wheezing. What Tests and Treatments Are Available? A diagnosis of GERD would be done by evaluating your symptoms. A test to monitor the amount of acid in your esophagus may also be done. In more extreme cases, an X-ray or endoscopy, which is tube used to look in the throat, may be done. Treatments vary based on the patient. Over-the-counter remedies such as antacids may be suggested to control heartburn symptoms. In some cases, stronger prescription medication or even surgery may be prescribed. A simple lifestyle and diet change could be beneficial to ease symptoms as well. Some beverages such as alcohol, tea, coffee, or citrus juices can cause irritation and spark GERD symptoms. Often, Excess abdominal fat puts pressure on the stomach and promotes reflux. Proper diet and regular exercise can make many people feel better. If lifestyle changes or medication do not lessen the symptoms of GERD, Dr. Marcus may suggest Anti-Reflux Surgery. This surgery reinforces the valve that connects the esophagus to the upper portion of the stomach, ensuring that acid won’t flow back up into the esophagus and cause discomfort.